Update November 2016 - it's quite difficult to find this model at present. We're not sure if this is temporary or it's permanently off the market now. 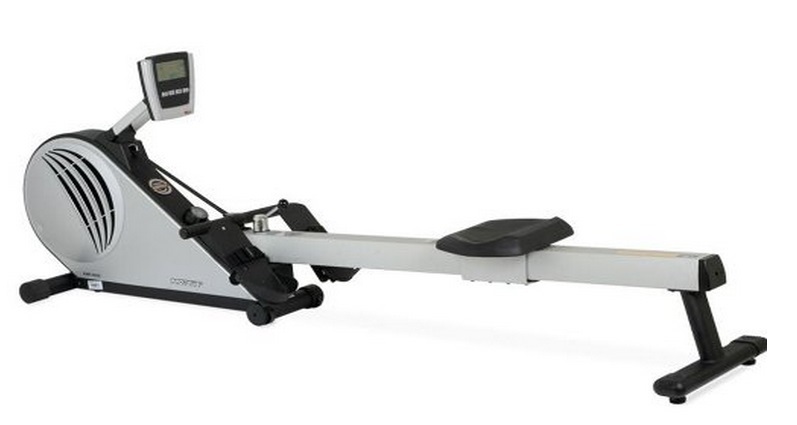 See 'Also worth a look' below for comparable rowing machines. The Proteus is another brand distributed by HCI Fitness who also market the reputable H2O Fitness line of fluid rowing machines.This is labelled a commercial-grade rower and uses tough and durable materials such as the 'aircraft grade extruded aluminum' rail' and is packed with enough features and functions to keep most users interested. But does it deserve the commercial label? Well... we're not entirely convinced. Naming it a commercial machine does raise expectations. When you think a rower in a gym is going to be used for at least 4 to 6 hours a day, it's going to have to be tough.The warranty for a model in a gym is two years and we'd bet our house you'd be claiming on it for sure! For a home user this is four years but of course it would be used for far less time. The Proteus can take around an hour to put together as much of it requires assembly with few parts being pre-fitted. But as we've said elsewhere on this site, you only do it once so no point in getting hot under the collar. First impressions - the seat has an unusual horizontal ribbed design and could do with a more sculptured and padded surface for more comfort. But having rowed on it for 30 minutes or more, most users found it sufficient and didn't complain about soreness or discomfort. The rowing position is good. The all-important footplates have 5 adjustable levels so every one would be able to find the right position. It's essential to find the best angle for your feet (and that they're secured in place) so you're correct positioned for an efficient rowing technique. If your feet slip, or they feel wrong, it's very difficult to row well. The display can also be adjusted to suit your eye-level which also contributes to a comfortable position. This rower uses a combination of air and magnetic resistance mechanisms - see here for definition - and it's a noisy beast, When you first start working out it sounds like a motorbike revving! The idea of using both types of resistance is that you get the feel of rowing on water with the air (no dead spots) and the smoothness and functionality of the magnetic system. Where the Proteus scores highly is the selection of pre-set programs - 15 in total. These include heart rate, racing and Wattage workouts which are a great way to get the most from your training. Pre-sets are good for motivation and in particular the race boat (also known as pacers) where you can set a target and race a boat going at that speed. 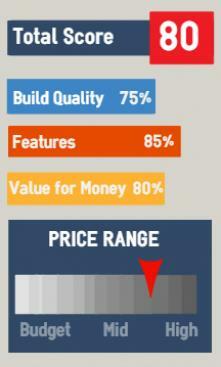 Note, you can also design up to 4 user programs. The Proteus PAR-5500 is a folding model, although due to the size of the resistance mechanism, it still takes up a sizable footprint when folded. We also had a number of reviewers complain that they had problems with folding the rail into the vertical position. This may have been a fault with a particular batch as not everyone had this problem. 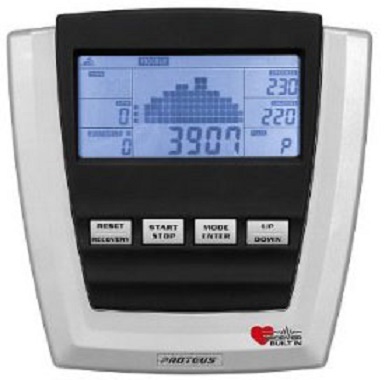 The large LCD is easy to read and shows all the workout data needed. The console has a built-in heart receiver but note the chest strap that monitors your pulse is not included. You can select from 16 levels of resistance using a button on the console and the pre-set programs will automatically change these levels to vary your workout and keep your heart rate in the fat-burning zone. Your workout data can be stored in rower's computer memory so you can measure your progress. The Proteus PAR-5500 rowing machine has many features that will help you get fit because you'll stay motivated using the wide variation of pre-set programs. 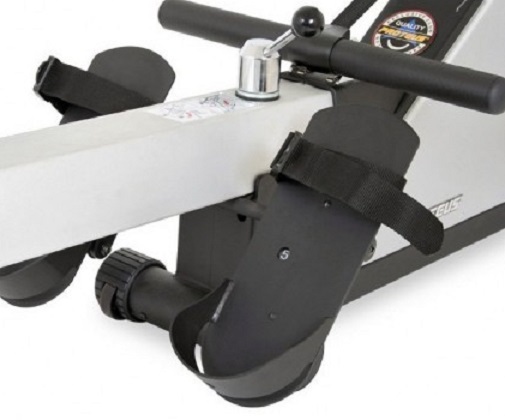 We'd question the use of the 'commercial' tag as it doesn't have the same feel of other commercial rowers such as the Concept2 (see 'Also worth a look' below). But for the home user this machine will probably last for years. However, please note that it's a noisy rower. If you live in an apartment or if noise levels would be a problem, you might want to consider either a fully magnetic machine or a water/ fluid model such as the Prower RX-950. 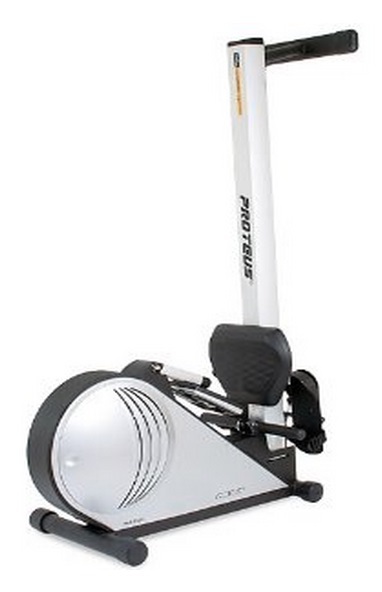 The closest competitor is the Concept2 Model D which scores over the Proteus on build quality in our view. For another $300 we rate the Lifecore R100 as one of the best magnetic machines out there. Do you own a Proteus? Would you like to share your thoughts?